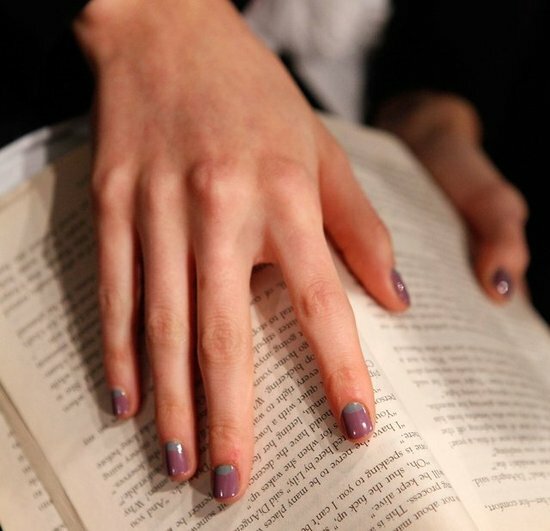 Fall is almost here and it's time to check out the nail trends spotted on the runway. Nail polish is one of our favorite accessories and we can't wait to start changing it up! Jewel tones are huge for this season. Go for navy or deep burgundy nails. Don't be afraid to try a darker nail for a really chic look. For the classic nails, try the French mani with a twist. Leather and lace were spotted as an unexpected way to add texture. Start practicing your hand at nail art and check out some of the trends from the fall runways. Let us know which trends you love or hate!! Are you going to rock any of these for Fall 2012? I'm entering eleventhgorgeous' Backpack Giveaway! @11thGorgeous #EGsBackpackGiveaway #tartecosmetics http://youtu.be/xF3Y0t7Ionc"